One faces criminal convictions for ambulance-chasing and the possibility of a year in jail. Another announced her resignation from her seat after being investigated by state auditors and the Texas Rangers. A third failed to fully disclose his business interests in a company that’s been the subject of an FBI investigation. Yet all three state lawmakers won their re-election bids — handily — earlier this month. 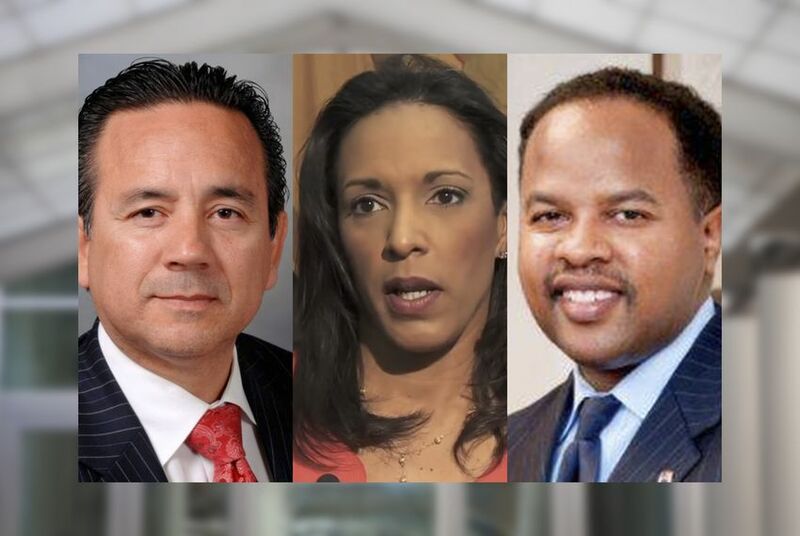 Voters overwhelmingly chose to send state Reps. Ron Reynolds of Missouri City and Dawnna Dukes of Austin and state Sen. Carlos Uresti of San Antonio, all Democrats, back to the Capitol, a sign of voters’ capacity for exoneration or apathy — or both. Convicted of five misdemeanor counts of illegally soliciting clients to his personal injury law practice, Reynolds had his license to practice law suspended in May. Later that month, he won a runoff in his Democratic primary against Angelique Bartholomew, 53 percent to 47 percent. That all but guaranteed Reynolds would be re-elected to a fourth term in the Texas Legislature. This month he faced Republican Ken Bryant, a former Fort Bend ISD trustee, in the general election, and Reynolds won the safely Democratic seat with 68 percent of the vote. 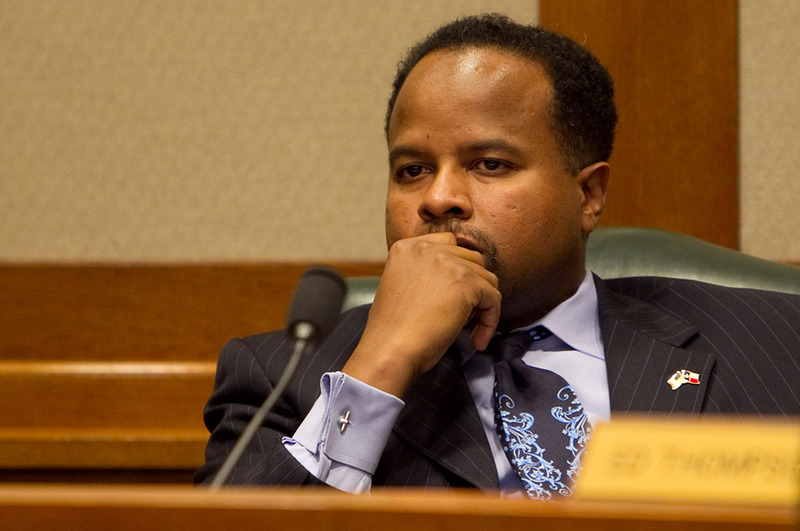 The embattled lawmaker has spent years fighting accusations of wrongdoing in his work as an attorney in the Houston area. In November 2015, a Montgomery County jury found him guilty of five barratry counts in an "ambulance-chasing for profit" scheme and sentenced him to one year in jail and a $4,000 fine. Prosecutors in the case accused Reynolds of paying Robert Valdez Sr. to scour accident reports for victims and get them to sign contracts to be represented by attorneys, including Reynolds. State law bars lawyers from doing so until 30 days after an accident. Reynolds has said he did not know the clients were being illegally solicited. Reynolds was initially convicted of misdemeanor ambulance-chasing charges in November 2014, but that verdict was overturned after a judge declared a mistrial. Reynolds was indicted again — and subsequently convicted — on related charges the next year. In September, Reynolds filed for bankruptcy. Court records showed the Missouri City Democrat owed creditors more than $1.3 million, including $700,000 to former clients who were awarded money after suing Reynolds for keeping their portion of legal settlements. Reynolds did not return a phone call seeking comment. In September, Dukes announced she would resign from her seat in January, even if she won her bid for re-election, which she did. The 11-term state representative said her resignation was a result of health issues related to a 2013 car accident and concerns over caring for her 9-year-old daughter. Dukes missed much of the 2015 legislative session and has said her absences were related to her health issues stemming from the car accident. But her announcement arrived amid news that the Travis County District Attorney's office was conducting a criminal investigation into her alleged misuse of staff and government funds. The state auditor's office launched first launched an investigation into Dukes’ use of state workers on a personal project she oversaw, the African American Heritage Festival. The auditors referred the case to Travis County prosecutors. In February, the Texas Tribune reported that Dukes also had legislative staffers handling personal errands for her, including babysitting her daughter, according to two former staffers. Then, in April, state officials said the Texas Rangers had joined the Travis County District Attorney's office criminal probe. The Rangers have said their investigation is complete and in the hands of Travis County prosecutors. In September, the Austin American-Statesman, citing an anonymous source, reported that Dukes was attempting to strike a deal with prosecutors before they asked a grand jury to indict the veteran lawmaker. Gregg Cox, a spokesman for the special prosecution division of the district attorney’s office, told the Tribune in September that the matter was “still under review.” Cox did not return a request for comment on this story. Through a spokesman, Dukes declined to be interviewed. Despite declaring she won't serve another term, Dukes easily won re-election earlier this month with 70 percent of the vote. Republican Gabriel Nila, who drew 19 percent of the vote, is among those hoping to run in a special election for Dukes' seat next year after she officially resigns. A lengthy investigation published by the San Antonio Express-News in August first detailed a scandal featuring Uresti, a now-bankrupt company he had a financial stake in, and an FBI investigation. Three months later, Uresti coasted to reelection, winning his San Antonio seat with 56 percent of the vote against Republican and Libertarian challengers. With allegations of serious financial mismanagement detailed in bankruptcy court, the FBI this year opened an investigation into FourWinds, the Express-News reported. In August, Uresti told the paper that he was a “witness” in that investigation but not its target. Uresti has not responded in recent weeks to repeated requests for an interview from The Texas Tribune. On Nov. 4, four days before the election, Eric Nelson, the former marketing director for FourWinds, was indicted for his role in an alleged scheme to defraud investors. He later pleaded guilty to one felony charge of conspiracy to commit wire fraud. Federal attorneys accused Nelson of altering company bank statements to “grossly” inflate its account balance. Two more former FourWinds employees have been indicted since the election: Shannon Smith, who held a 48 percent stake in the company, and Laura Jacobs, who worked as its comptroller. They face similar charges to Nelson's. That document, first filed in February of this year, did not originally disclose the $40,000 loan. Nor did it show that he served on the board of one of the company’s joint ventures. 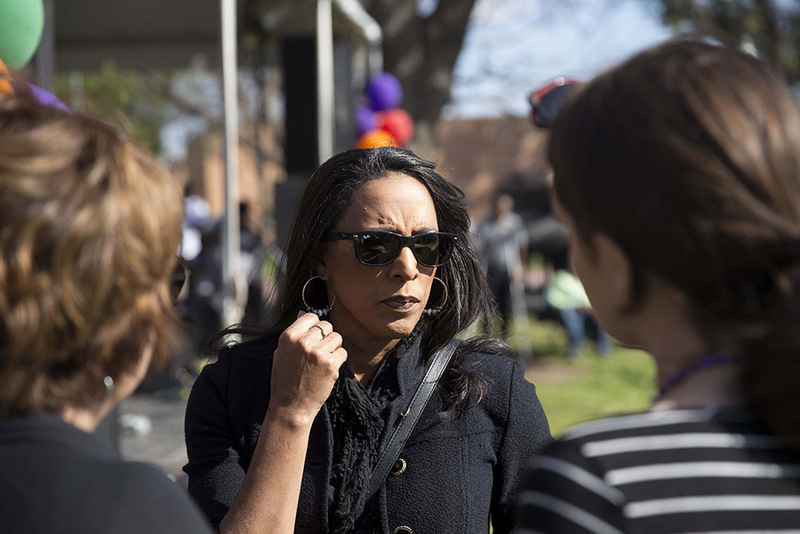 Even after vowing not to serve her district in the next legislative session, state Rep. Dawnna Dukes won with more than 70 percent of the vote in Austin's House District 46. Ordered to pay hundreds of thousands of dollars in legal settlements to former clients of his personal injury law firm, state Rep. Ron Reynolds, D-Missouri City in September filed for Chapter 7 bankruptcy.